VTech is the global leader in electronic learning products from infancy to preschool and the world’s largest manufacturer of cordless phones. 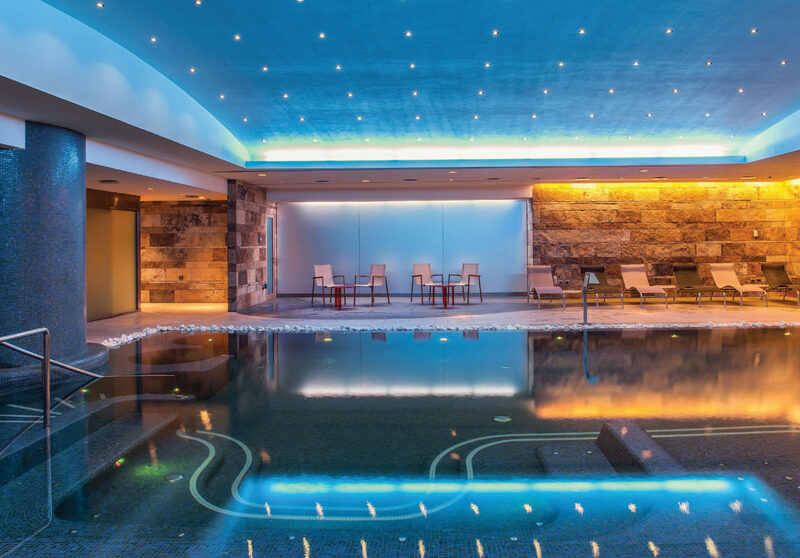 It also provides highly sought-after contract manufacturing services and telephony solutions for the hospitality industry, including award-winning hotel phones. The company has leveraged its expertise and success in cordless telephones to offer a portfolio of cost-effective, cutting-edge conference phone and business phone solutions as well. Founded in 1976, VTech’s mission is to design, manufacture and supply innovative and high-quality products in a manner that minimizes any impact on the environment, while creating sustainable value for its stakeholders and the community. 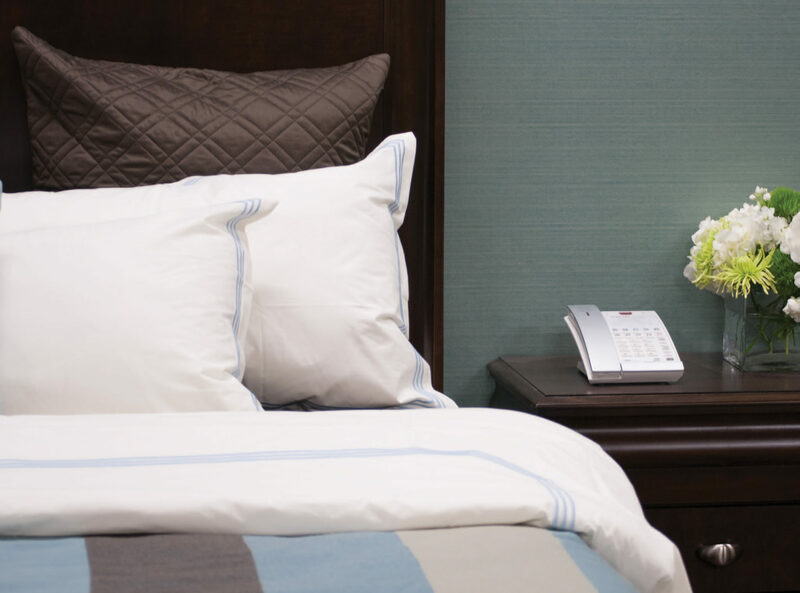 VTech’s line of hotel phones leverages this expertise and resources, catering specifically to the hospitality market while providing clear cost and feature benefits. Hotels, clubs and other hospitality-related businesses count on VTech’s world-class hotel phones to help them enhance guest experiences. That’s the VTech advantage. At VTech, innovation is everything. It’s what guides them to design telephones that keep costs down and guests better connected—fusing market demands with the comforts of home. 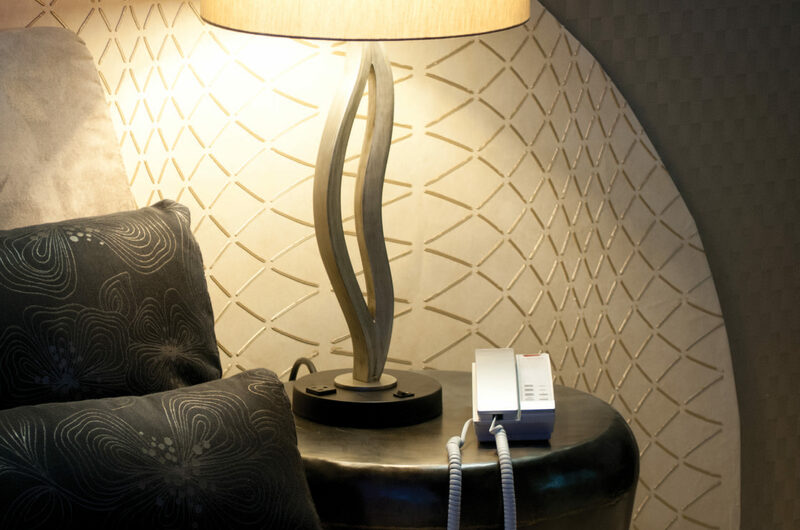 Battery-backup technology keeps guests connected even when the power’s out. USB ports provide easy access for guests to charge smartphones. Petite Phone® models make the most of tight spaces with compact footprints. When so much is invested in upgrading the guest experience, it becomes critical to ensure no detail is overlooked. 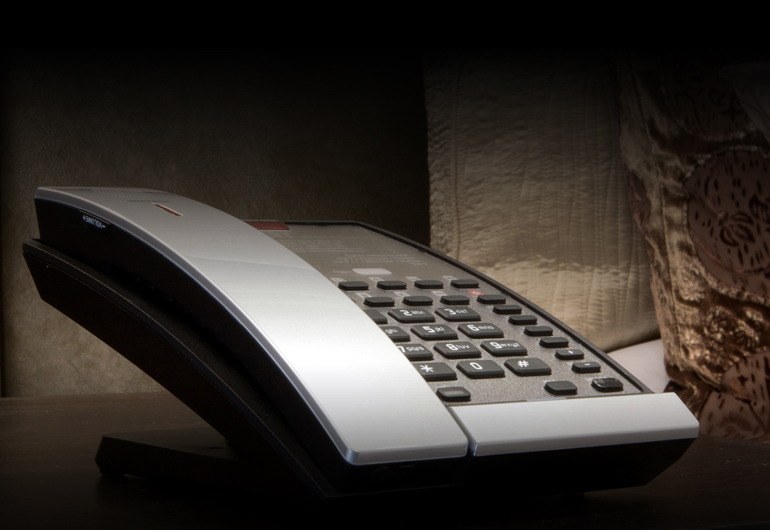 VTech hotel phones complete the backdrop, elevating a hotel brand to the standard guests expect. Contemporary styles complement a variety of interiors and properties—from the luxury resort to the short-stay motel. 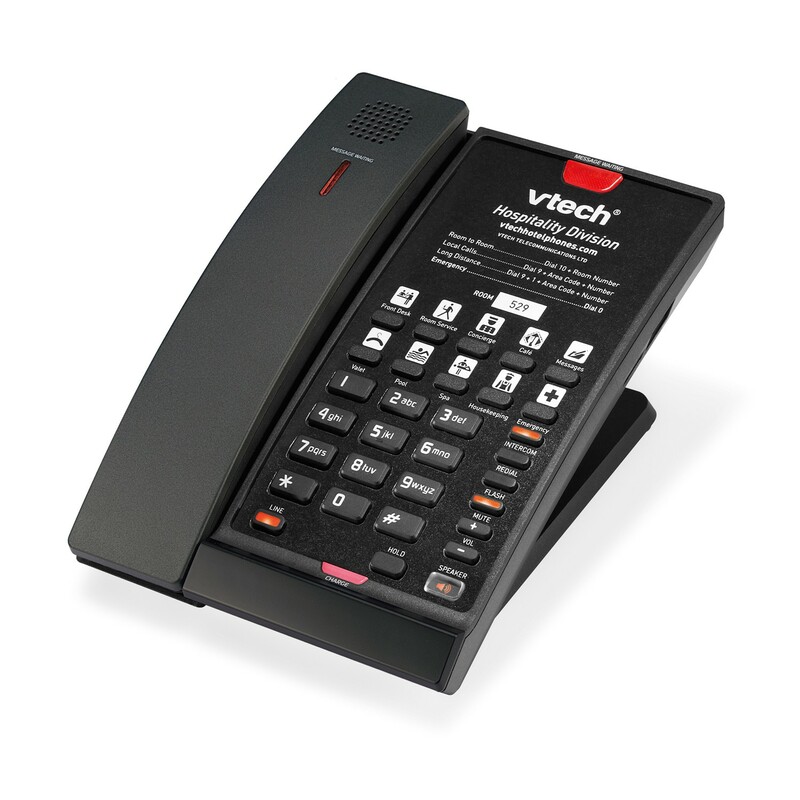 Since 1976, VTech has been designing the world’s top-rated corded and cordless hospitality telephones. Our relentless pursuit of quality and innovation fuels the best-in-class engineering and greenest standards that help define our product line. In-house manufacturing results in higher quality and safety standards plus lower production costs—savings we pass on to our customers. Affordable and reliable, VTech analog phones offer straightforward features that will make guests feel right at home. Choose from contemporary styles to complement today’s interiors or classic designs that make a more traditional impression. 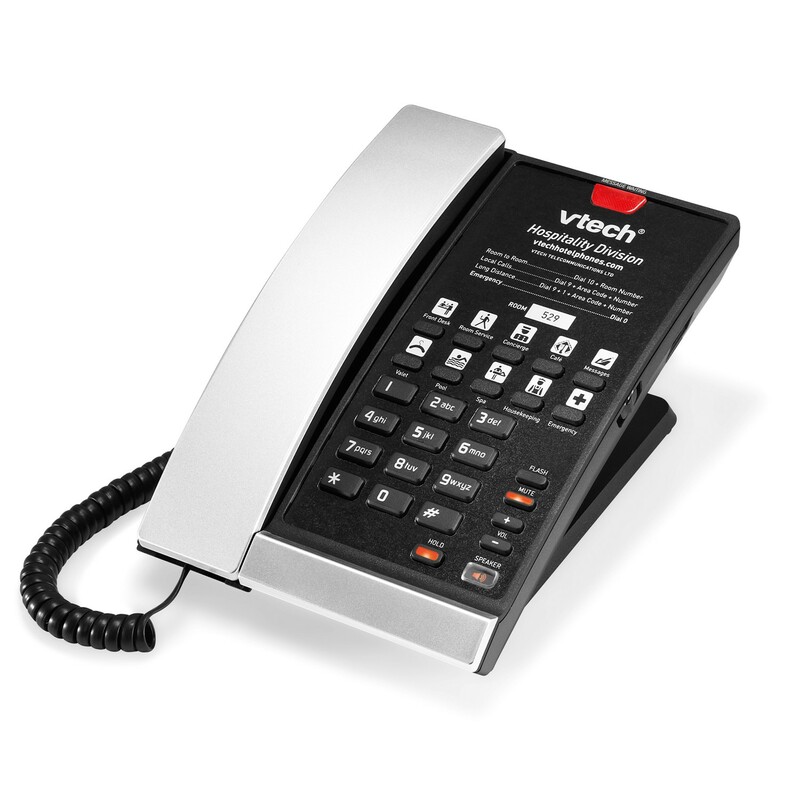 Form and function come together in VTech SIP phones. Contemporary styling lends a fresh, sophisticated touch to guest rooms, while advanced features cater to today’s road warriors. Easy to install and manage, these phones are also certified to work with most major PBXs worldwide.